Ok, so this is really dirty, but it might be something others find useful so I'll share it. 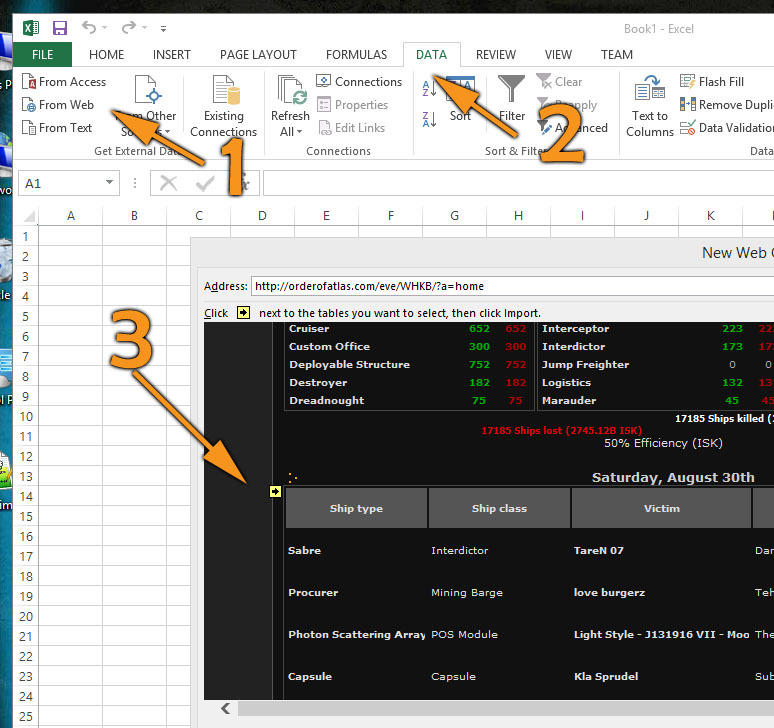 I wanted a way to import data into excel to play with, create graphs, pivot tables, etc. Because we all know there's not enough excel in eve as it is. The problem is, grabbing the table with the current formatting creates multiple rows per kill, blank rows, blank columns, etc. It's ugly. This will create a table on the front page where each kill is only one row, and each value for a kill is in it's own column. It also relies on the Values Column Mod found HERE. So make sure you install that first. Very easy to install. Download the killlisttable.tpl file from here http://www.orderofatlas.com/eve/stuff/killlisttable.zip and replace the same file in /themes/default/templates/killlisttable.tpl Rename your old file so you can switch back if you want.